Daredevil – Born Again (TPB) (2010) : The definitive Daredevil tale, by industry legends Frank Miller and David Mazzucchelli! 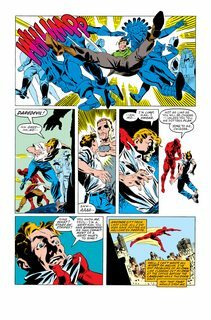 Karen Page, Matt Murdock’s former lover, has traded away the Man Without Fear’s secret identity for a drug fix. Now, Daredevil must find strength as the Kingpin of Crime wastes no time taking him down as low as a human can get. 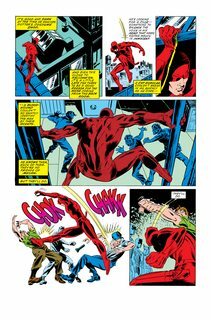 Collecting DAREDEVIL #226-233.